Simply stunning! 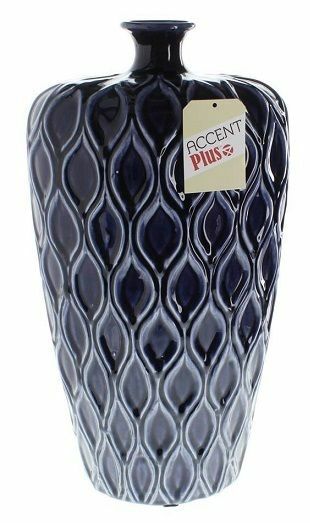 This regal stoneware vase features a timeless wave design thats saturated with gorgeous deep blue glaze. It looks great all on its own or holding a few slender reeds. Dimensions: 8.5" x 6" x 17"